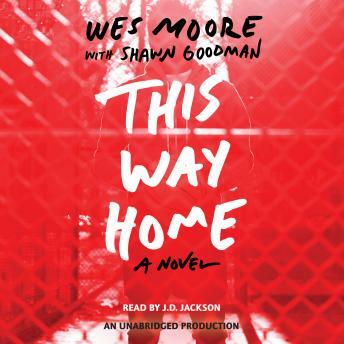 One young man searches for a place to call home in this gut-wrenching, honest novel from New York Times bestselling author Wes Moore and cowriter Shawn Goodman. Elijah Thomas knows one thing better than anyone around him: basketball. But when a sinister street gang, Blood Street Nation, wants him and his team members to wear the Nation’s colors in the next big tournament, Elijah’s love of the game is soon thrown into jeopardy. The boys gather their courage and take a stand against the gang, but at a terrible cost. Now Elijah must struggle to balance hope and fear, revenge and forgiveness, to save his neighborhood. For help, he turns to the most unlikely of friends: Banks, a gruff ex–military man, and his beautiful and ambitious daughter. Together, the three work on a plan to destroy Blood Street and rebuild the community they all call home. This Way Home is a story about reclamation. It’s about taking a stand for what matters most, and the discovery that, in the end, hope, love, and courage are our most powerful weapons.